From May 11-14, and for the 6th consecutive year, the Marché du Film will offer renowned International Film Festivals the possibility to program and showcase a selection of works-in-progress actively seeking a sales agent, distributors or a festival selection. the festivals will present feature films in post-production. These curated selections will be shown during two-hour market screenings in the presence of the film teams who will introduce their films in front of an audience of industry professionals. Nine festivals will travel to Cannes to present their selection within the frame of the Goes to Cannes: Annecy International Animation Film Festival, International Film Festival of Panama, Doc Alliance, Hong Kong-Asia Film Financing Forum (HAF), New Horizons International Film Festival, Los Cabos International Film Festival, Guadalajara International Film Festival, Vilnius Film Festival, and Thessaloniki International Film Festival. For the first time this year, Doc Alliance will take part in the program and present a strong line-up of five feature documentaries selected by its members. Doc Alliance is the result of a creative partnership of 7 European documentary film festivals: CPH:DOX Copenhagen, Doclisboa, Docs Against Gravity FF, DOK Leipzig, FID Marseille, Jihlava IDFF and Visions du Réel Nyon brought together to foster the documentary genre. "Cannes is proud to offer these incredible festivals a platform to support the filmmakers they have selected, » . « With Goes to Cannes, we wish to give recognition to their work towards developing cinema and creativity." "We are very pleased once again to offer buyers and festival programmers this window on exciting talents from different region of the world. In a timely manner, they are given the opportunity in Cannes to travel to nine renowned festivals!" The Goes to Cannes market screenings are open to industry professionals accredited at the Marché du Film. 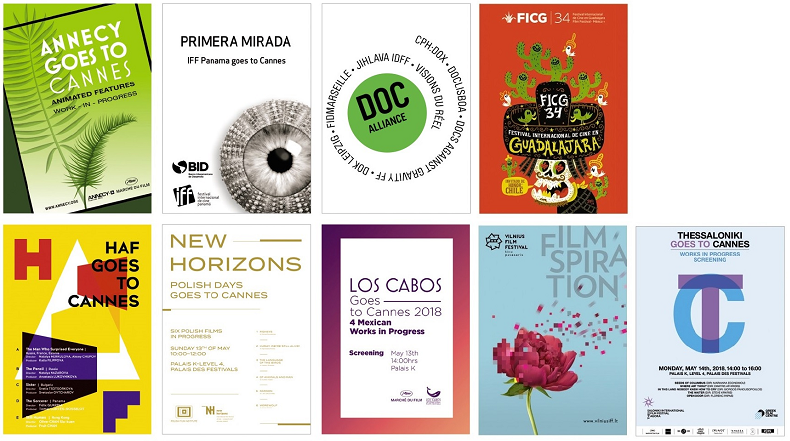 Complete list of the Goes to Cannes projects available here.